When it comes to using Airsoft as a training tool for real steel weapons manipulation and operation, there are a number of advantages. 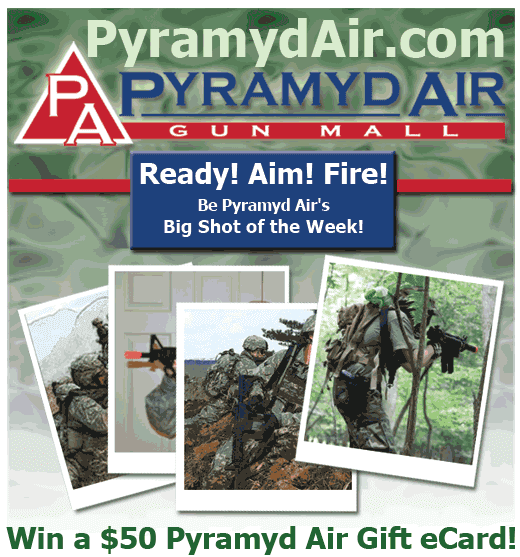 However, there are also a few limitations that prevent Airsoft guns from being the perfect training tool. One of those limitation is the fragility and sensitivity of gas magazines. They are fragile when it comes to dropping them on the ground from a standing height when you eject them from the gun to load a new mag. They are sensitive to the dirt they fall in after they've landed on the ground. Reuse a dirty gas mag in your gun at your own peril. Needless to say, letting your gas mags hit the ground to reload is less than optimal. There are several solutions to this for Airsoft purposes. One could argue that performing a "tactical reload" would be the way to go. 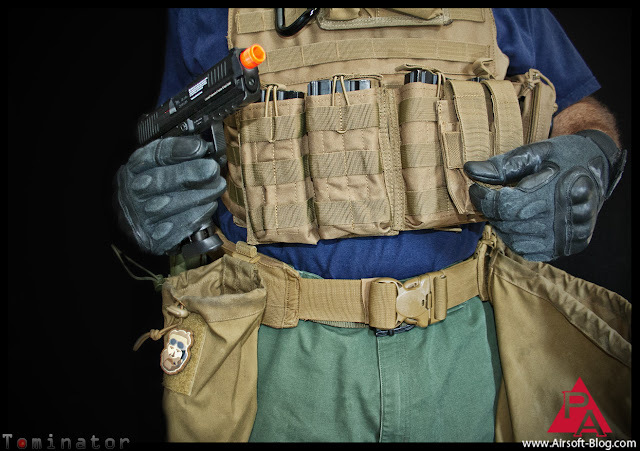 As I was taught by a retired Special Forces operator, this is where you grab a fresh mag from your vest with your off-hand first and then, with that same hand, grab the mag in the gun as you hit the mag release button. Insert the fresh mag while you have both mags in hand and then once inserted completely, place your spent mag in your dump pouch. That's cool. Especially since it is more of the textbook way of doing it. Now, I'm definitely NOT saying I know better than a real deal, Special Forces operator, however, let me throw an idea at you from a different angle. 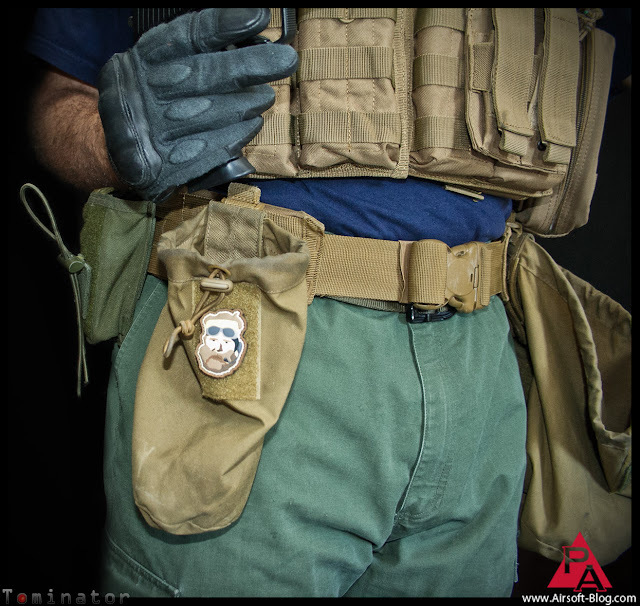 Enter the small dump pouch from 5.11 Tactical. 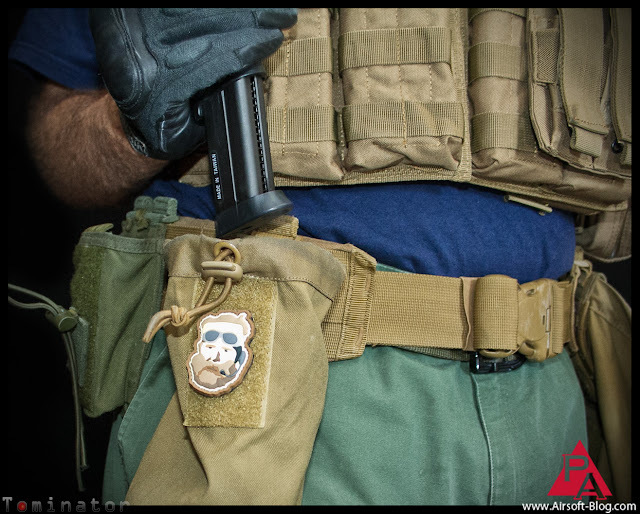 As you can see in the picture below, I've added it to the front of my battle belt, on my right side so that I can easily drop the empty mag inside of it without needing to use my "off hand." I'm sure there are those out there that would gasp in horror at the thought of having TWO dump pouches on their kit *Oh, the sacrilege! But I've found it to be very handy, a more natural sequence of movements for me, and a bit faster than performing a tactical reload. Sure, if I practiced for awhile, I'm sure I could get pretty quick with my tactical reloads. But I don't want to practice that method when I've already got a good system going. If it ain't broke, don't fix it. If it doesn't fit, you must acquit, too. 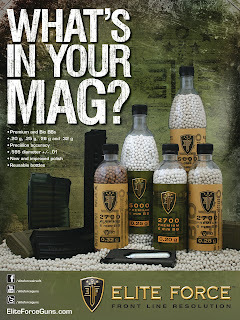 I suppose you could just use one large dump pouch for your rifle and pistol mags, but I like to keep mine separate. Separate but equal. I've found that if you've got a bunch of rifle mags already in the big pouch, and then you start dumping pistol mags in there (this has happened during long firefights with a long of bad guys to shoot), the pouch starts to get overfilled and a bit too heavy for my tastes. Having that second, mini pouch on there takes up minimal real estate on the belt (only one MOLLE webbing slot) and helps to mitigate some of those issues I just mentioned. So that's what I've got for you. You don't have to use this method. If you have another method that you like better, feel free to share it here in the comments.